March | 2018 | Learning at its best! A new year….focus on learning in ES1! A new beginning for ES1 has meant an increase in staff and student numbers…..more than doubled in fact! What this simply means is there are now 4 Early Childhood teachers working together to program and implement a focused, play based program for 86 students (this figure will change as families move into their new homes and students begin at our school in Term 2- we belong to a new growth area in Sydney, Australia called Marsden Park). The students are placed into 2 class groups and have 2 teachers that observe and plan for them on a daily basis. The structures within these spaces vary dependent on the learning taking place: small focus groups, shared and modelled reading/writing groups, needs based grouping, mixed ability groups (so that students can be the peer teachers and leaders of their learning). 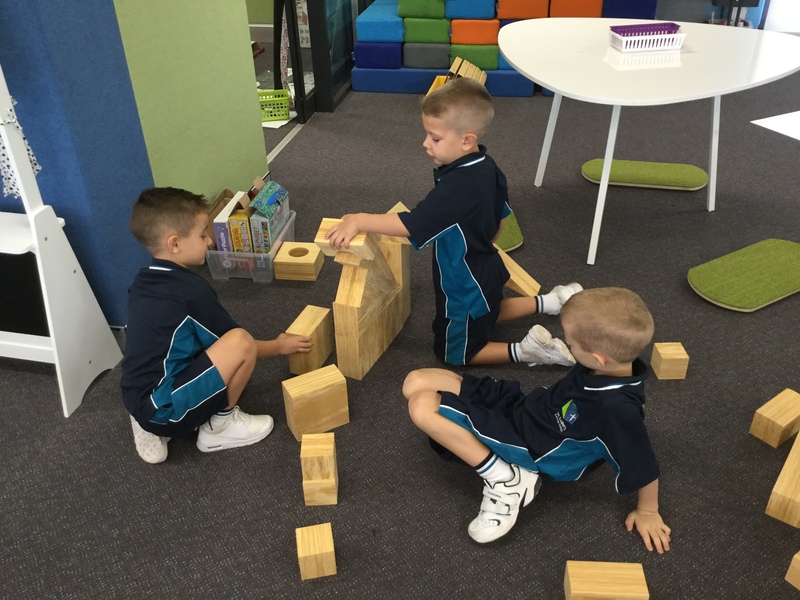 PLAY is still a driving force behind the teaching and learning of students in Early Stage One. This year we are incorporating our speaking and listening together with our focus on writing (drawing and story telling as a beginning step) based on meaningful experiences. Our 6 Pillars have also had an impact on our planning and implementing of play experiences. 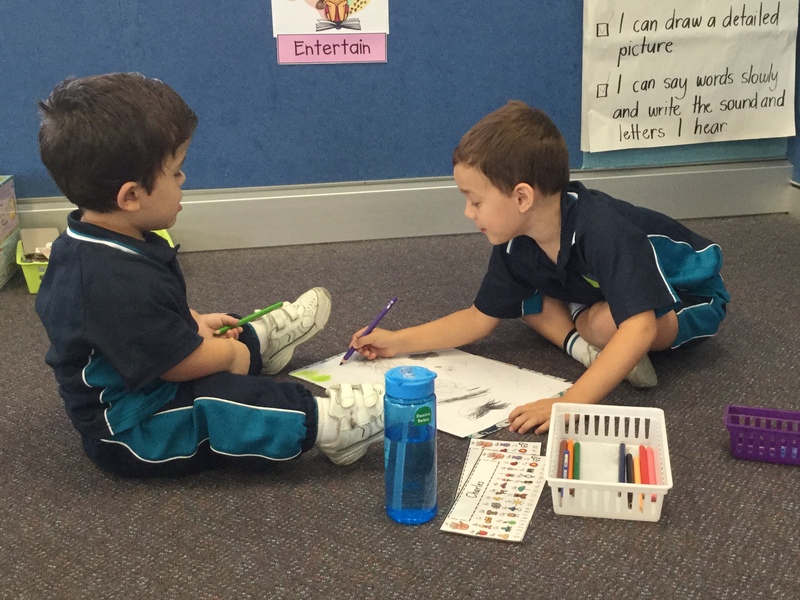 We are ensuring that we encourage and support our students to work on communicating/collaborating. Next term we will increase this to focus on relating to others and managing themselves. 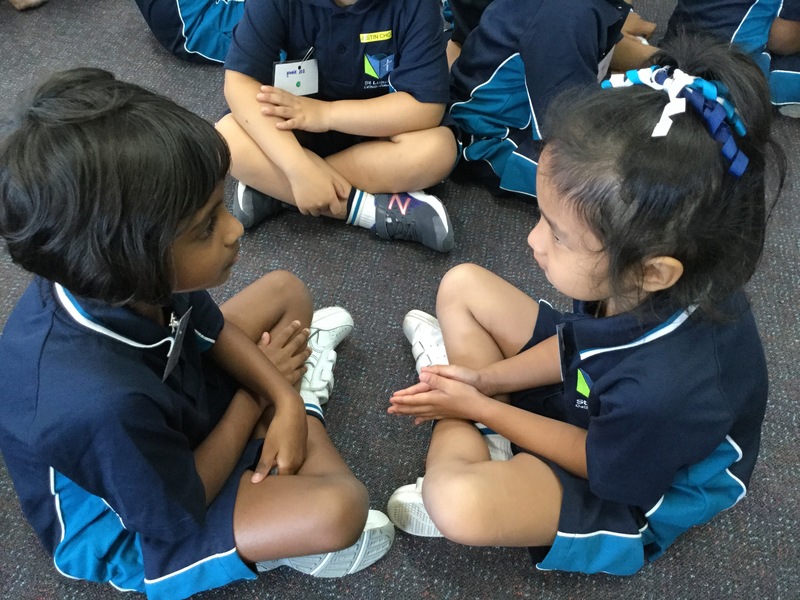 Communicating is something we do on a daily basis and children need opportunities to develop and practise these skills while working and playing in games and situations that also require them to be collaborative. Children will become more confident when given positive models to work from and feedback as to what was working and how they can improve. We begin our day together playing for 20 minutes where the students are the leaders and drive their own learning. They work on their skills to communicate, collaborate, problem solve and build friendships. This term the children have been extremely interested in dressing up as police officers so we have built a Police station within our classroom to enhance conversations and provide more role playing opportunities. The children have been busy writing messages to each other and recording if anyone needs any help with finding missing items or animals! Our Police Station evolved from my observations of group of boys running around the classroom shooting at each other to us sitting down and having a conversation about what their game was all about. From this conversation I realised that the boys thought police only shot at “baddies” all day long. 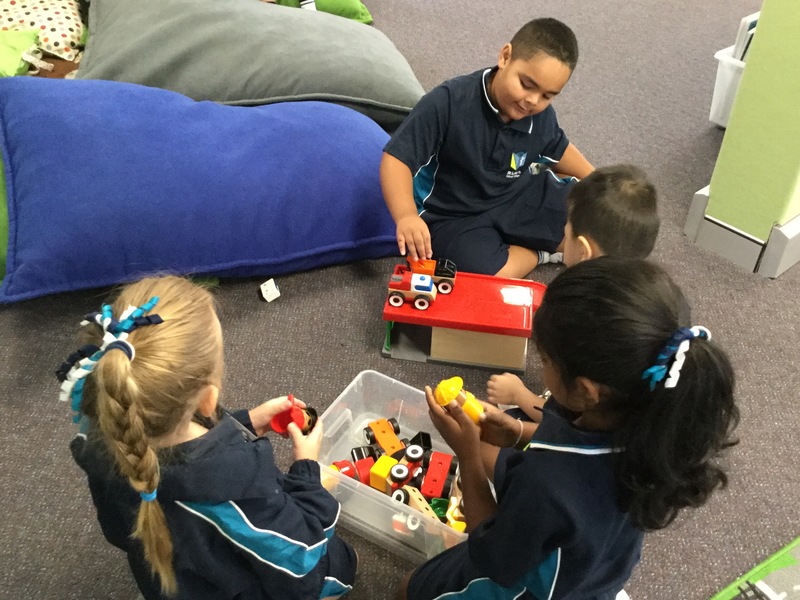 So we all contributed to the discussion of what police officers may do during the day and then the boys made suggestions about what a police station would need…….play is a powerful tool for learning. How have you changed your classroom to meet the needs of your students? New year…..new focus for learning!